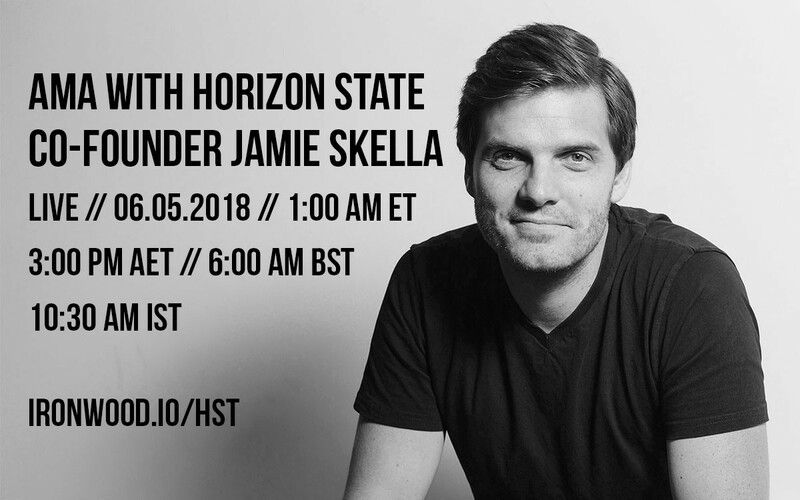 June 5th, Ironwood Research Group hosted an AMA with Jamie Skella, Co-Founder of Horizon State, an Australian blockchain company that is bringing undeniable confidence in voting and decision-making. We were thrilled to host this event, and the discussion has only bolstered our confidence and admiration of Horizon State — one of the best use cases we have encountered for blockchain actually providing tangible benefits to the world by revolutionizing traditional systems that, in many cases, are in dire need of reform. We’d like to thank again Jamie and all viewers for joining us! Stay tuned for more AMA events! Horizon State is introducing a unique use for blockchain. They have successfully created a working product that is already being used, with wide-ranging plans and potential for future developments in 2018. With the cost savings, added security, and transparency that a blockchain offers voting and decision making, this platform has tremendous potential for mainstream adoption. Former Director of UX at Tatts Group and the Australian Football League. Jamie also devised and directed the development of MiVote’sblockchain voting MVP. Next articleSEC Chairman Reiterates ICOs Are Securities, Bitcoin Is Not.